You're reading this in your jammies and fuzzy slippers, right? Or maybe in those oh-so-comfy sweats with a hole in them. (Shh, we won't tell!) But that doesn't matter because you love to read and books don't care how you're dressed. If anything, books like your comfy clothes. (I'm pretty sure about that.) Sometimes you would love to discuss a mystery you just read, but you'd have to drive to a book club, and winter is coming, and it will be dark early, and well, you'd rather stay home and read anyway. Great news! There's a book club you can join in your jammies and fuzzy slippers! Wahoo! Nicole from this fabulous Facebook group very kindly answered some questions. 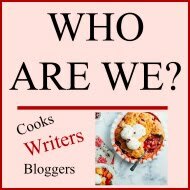 This is a group for cozy mystery readers. We will choose one book a month to read and then discuss it together over a good cup of coffee, tea or hot chocolate!! Anyone can join! 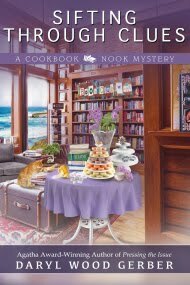 It's a plus if you're a cozy mystery lover or author. 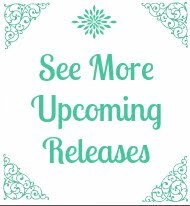 The only thing we ask is no promotions or links to other books unless they directly relate to the current books we are discussing. After the book for the month is chosen and the members begin their reading, a GROUP EVENT is set up for a specific date and time to chat. The members then go to the Event page at the designated time and chat! Sometimes the authors of the books that we are discussing will lead the chat and sometimes myself or other members will pose questions or ideas to talk about. Sometimes the author of the book we are discussing will choose to give out prizes. 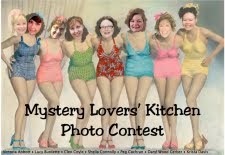 Not every book club discussion will feature prizes but it's something fun that might occur every so often. The only other thing I would add is that if you love Cozy Mysteries then please check out our club. The monthly book selection is chosen by the members who vote in a poll. Our book for September is A Dark and Stormy Murder by Julia Buckley. Our event will be held on September 28th at 8:30PM EST so there's still time to join in! Krista again. Guess what? 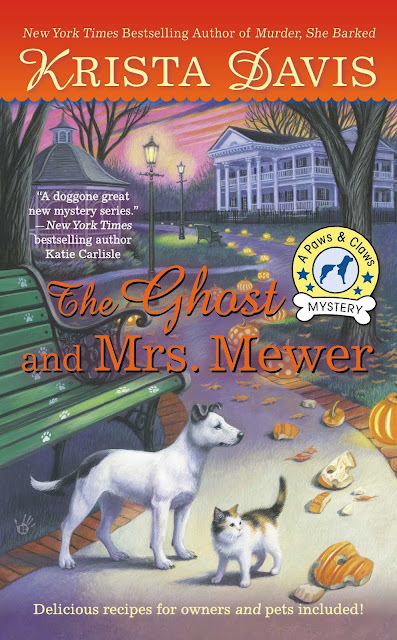 They selected The Ghost and Mrs. Mewer as their October cozy! I have to confess, I feared that book would bomb. Why? Because that was the year my Christmas book was released in June and my Halloween book was released in December. That's right. The worst possible timing. So I'm doubly honored that it was the pick for October. 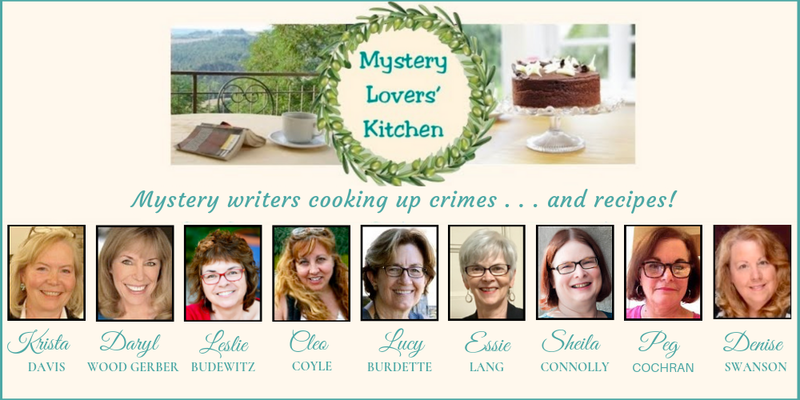 Thank you, Cozy Mystery Book Club members! 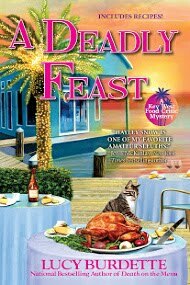 And because it's #bookclub week, I'm giving away a copy so one of you can join in the fun at The Cozy Mystery Book Club! To enter, see the instructions below. Of course, everyone needs something yummy to eat, even if it's just you alone at home in those sweats with the hole. 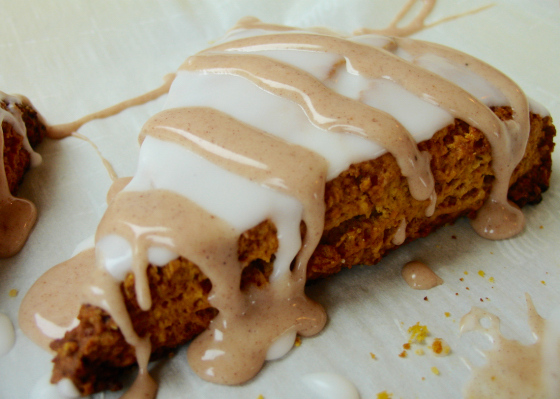 This recipe appeared in The Diva Serves High Tea, and it's one of my fall favorites. Now don't freak out when you see all the photos. I'm just taking you through the recipe step by step. They're really not hard to make. 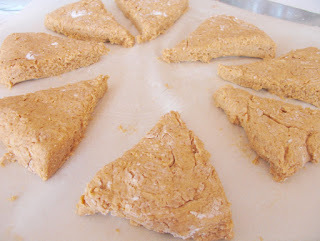 Thanks to the pumpkin, these scones will not be as dry as most scones. Serve them plain with Bourbon Cream, or top with one or both of the following sugar drizzles. I love these drizzles! Preheat the oven to 400. Cover a baking sheet with parchment paper. 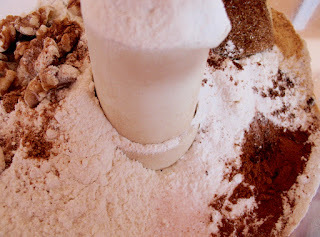 Place the cutting blade into a food processor and add the flour, pecans, brown sugar, baking powder, salt, cinnamon, cloves, ginger, and nutmeg. Process until the pecans are chopped. Cut the butter into tablespoons, and then into 24 small cubes. 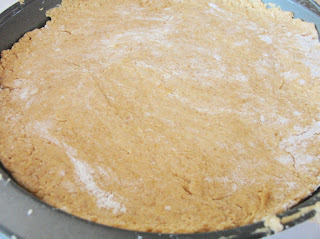 Add to the flour and pulse until combined and the butter is barely visible anymore. 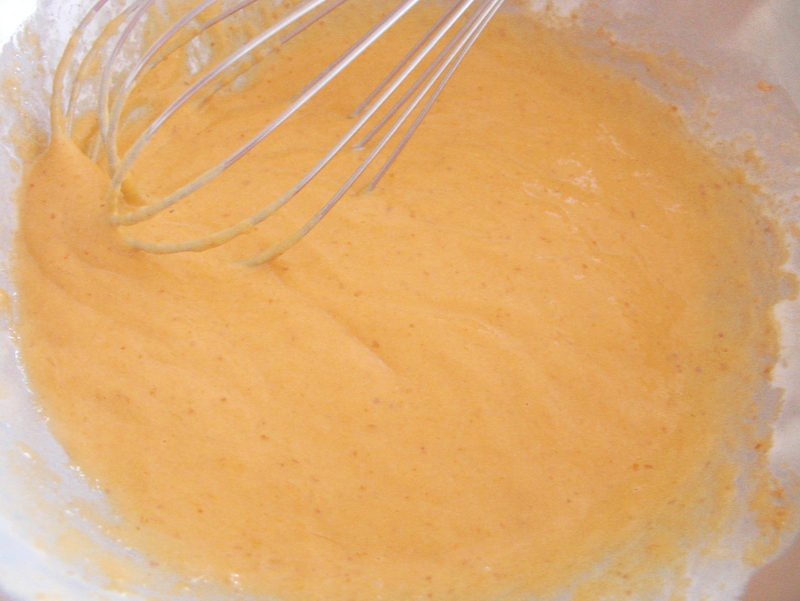 In a large bowl, whisk together the egg, cream, and pumpkin. Turn out the flour mixture on top of it and mix gently with a large serving spoon until large clumps begin to take shape. Sprinkle flour on a cutting board and flour your hands. Turn the dough onto the cutting board and knead 10– 12 times, adding just a sprinkle of flour if necessary. Pat the dough into a 9‑inch cake pan. 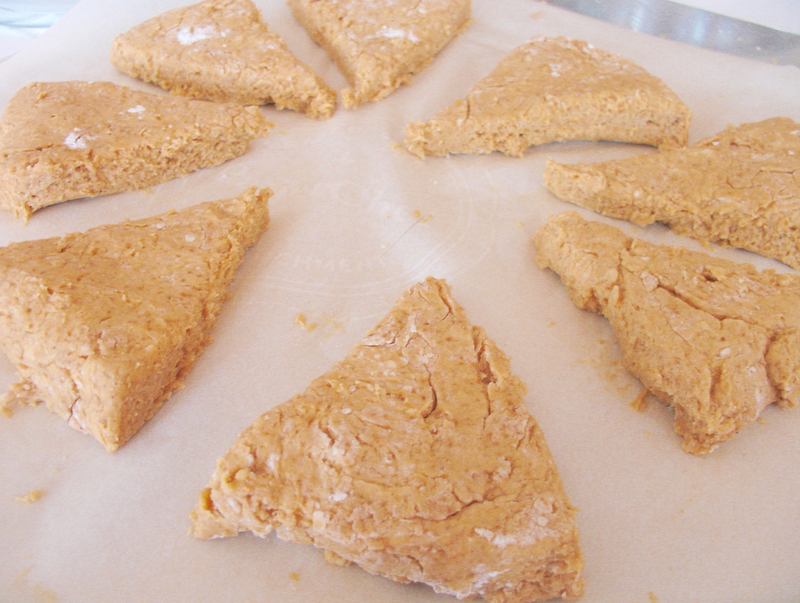 Turn it out onto the parchment paper and cut the round into 8 equal pieces with a very sharp knife. 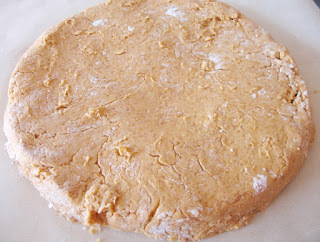 It’s best to press the knife into the dough instead of dragging it through the dough. Slide a knife or thin spatula under each slice and pull away from the center slightly to separate them. 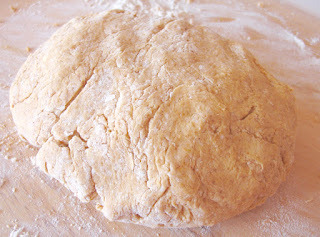 Bake 12–15 minutes (or longer if frozen). Whisk to combine, adding milk gradually until it’s smooth and just past spreading consistency. 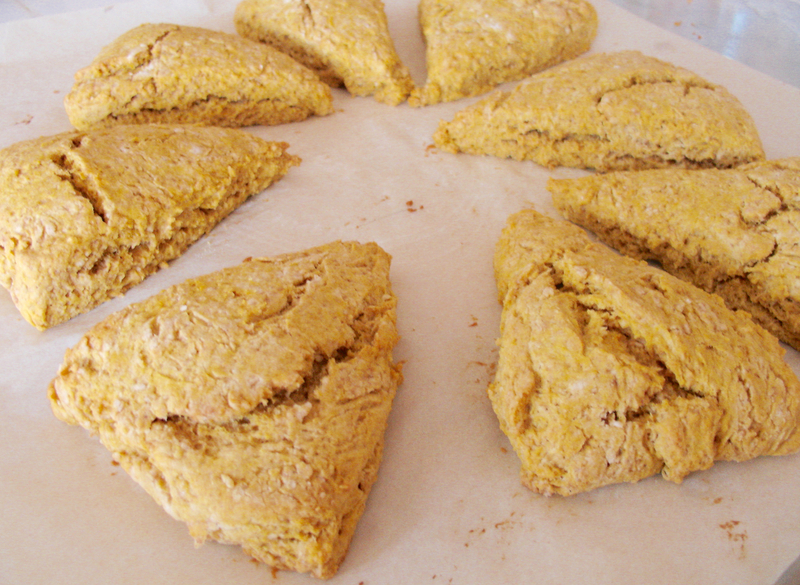 Spread over the tops of the cooled scones. 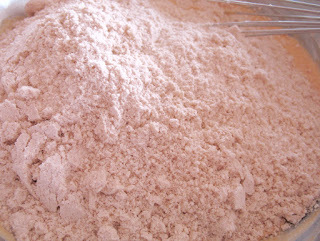 Whisk the dry ingredients to combine. 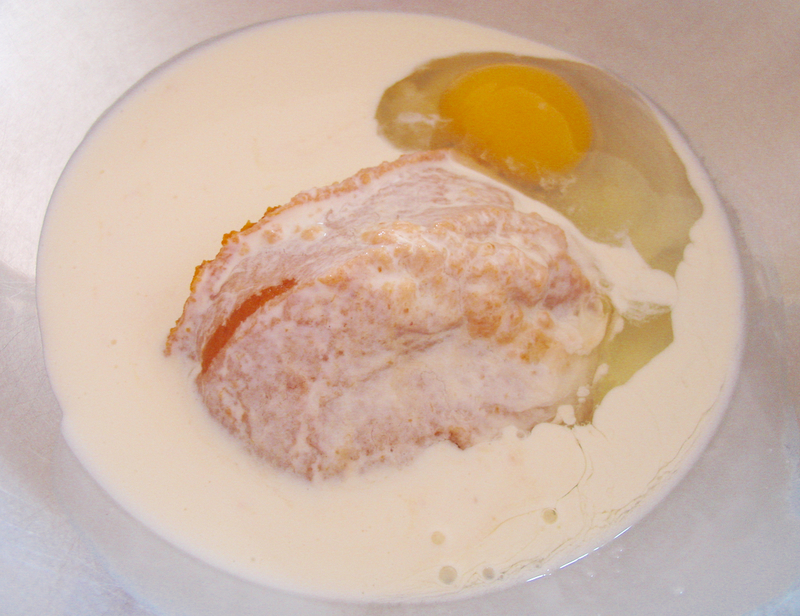 Slowly add the vanilla and part of the milk, and mix, adding milk until it reaches drizzle consistency. 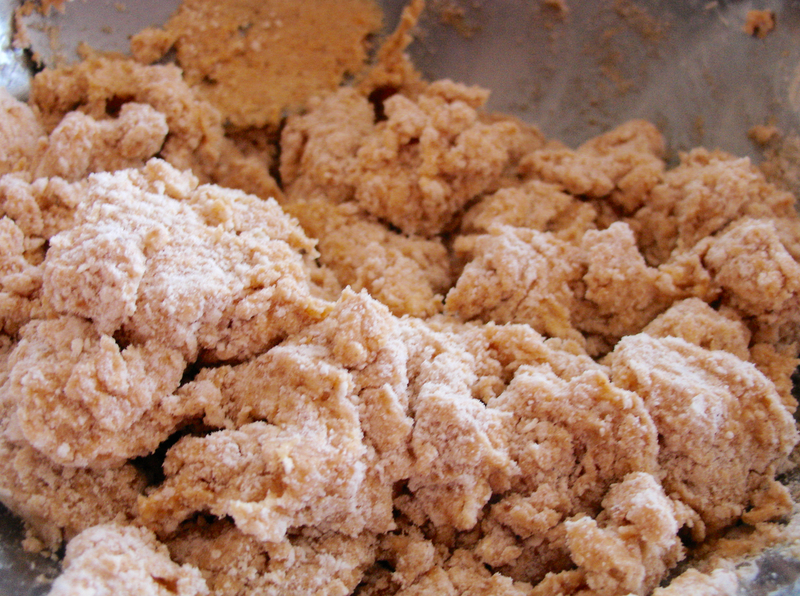 Use mini-whisk, fork, or squeeze bottle to drizzle over the scones. Whip the cream until it begins to take shape. Add the powdered sugar, the vanilla, and the bourbon and beat until it holds a soft peak. The dry ingredients and butter in a food processor. Stir until it clumps together. Pat into a cake pan. A nice circle! Turn out onto parchment paper. Sugar drizzle all over and spiced drizzle on top! To enter the giveaway, please leave a comment with your email address. 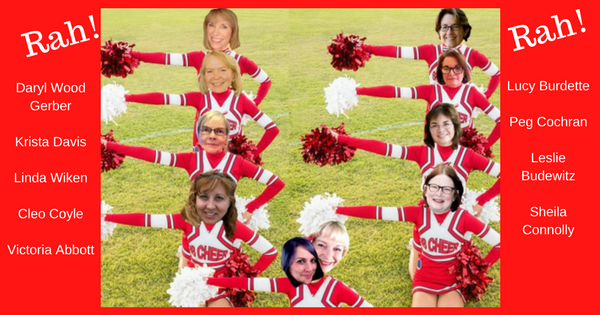 I enjoy online book clubs, in person clubs not so much. 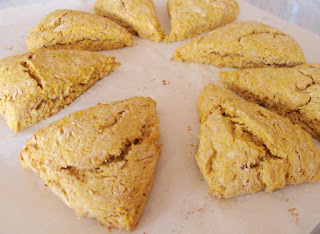 But scones of any kind are marvelous. 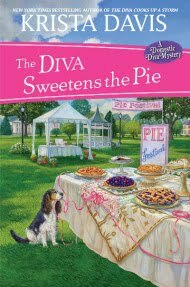 I really enjoy this series by Krista Davis, especially the pet treat recipes. dbahn(at)iw(dot)net. 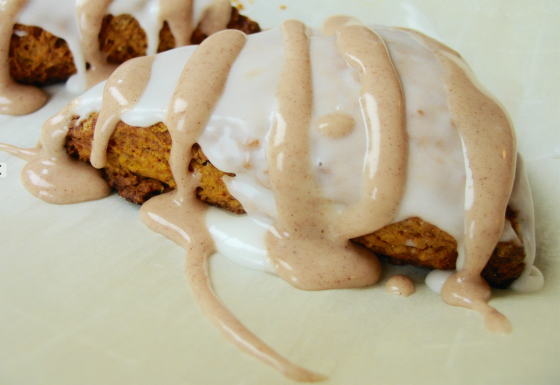 I'm a pretty big fan of anything pumpkin, but I think the bourbon cream must put these over the top! I'm so excited to have joined this online book club and that next month's book is The Ghost and Mrs. Mewer. Thanks for another great giveaway, Krista! This recipe looks so yummy! Can't wait to try it. I love the title of this book. Thank you for the opportunity to win such a great gift! An onlione book club? What a great idea! What a delicious sounding recipe! Thanks for the contest. An online book club sounds great. Looking forward to this new to me series. I like scones but prefer mine without icing. What better way to enjoy the season then with a great Halloween story and of course with a cat also. Congratulations, you are are a winner! 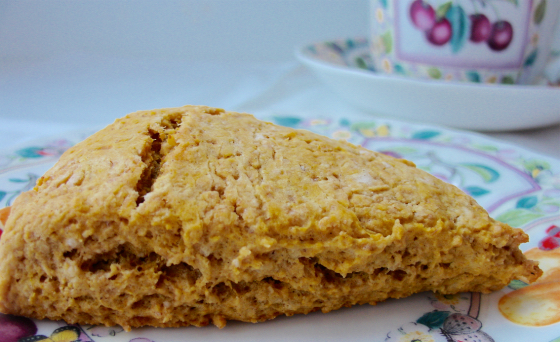 Scones and pumpkin. Yum. Unfortunately it isn't sweatshirt weather here yet. The scones sound/look delicious. An online book club sounds great. Thank you for this chance and sharing the recipe. The scones! I love them...thanks for a great opportunity. The scones look wonderful. Thanks for sharing. I love your Diva series and need to get into the Paws and Claws one. What a great way to start! Free book and book club to discuss it! Thanks for the chance!! marilyn at schoberg dot net.